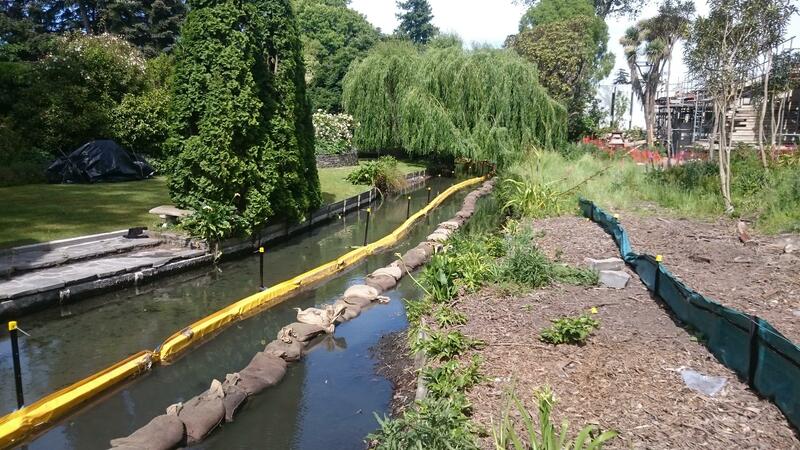 Effective erosion and sediment control while works along a stream bank are underway (Source: RST Solutions Limited). There are many good reasons to use effective ESC tools to manage soil carefully when we disturb the land. Protect Mana Whenua values, water quality, reduce your costs and protect your reputation. Soil is precious and once erosion starts it is expensive and difficult to fix. Leave the land in better condition than you found it. Globally the loss of soil from erosion is a major issue, both because of the loss of fertility and land stability, but also because of the effects it has in the receiving environment. By keeping sediment out of waterways and the coast, you’ll be helping to protect these areas for generations to come. Sediment in waterways often results in expensive costs that have to be borne by the community, for example, dredging stream beds to maintain flood-carrying capacity. It also affects the ecological value of these areas – habitat for aquatic invertebrates is reduced, affecting the food supply and survival for fish, crustaceans and birds. Poor water quality from sediment discharges reduces the mauri of waterways and coasts and is an affront to Mana Whenua, who have lived alongside them and harvested food, medicine and resources for many generations. Effectively using ESC tools helps maintain high productivity on development and earthworks sites. Consider ESC and other environmental measures as important as health and safety obligations. Involving your team in ESC will result in problems being identified early on. This will give everyone the opportunity to contribute to solving problems avoiding downtime that comes from putting mistakes right. This can significantly delay the completion of projects. Some of the best-run projects have internal competition that rewards crews who manage integrated ESC and environmental aspects, health and safety and productivity very well. These operations often finish ahead of time and below budget. Failure to control erosion and retain sediment can result in effects in waterways, coasts, or neighbouring property that may need to be repaired or remediated. Experience shows that the cost of remediating a waterway where sediment has been deposited, even if it is only a small stream, significantly outweighs the costs of prevention by using effective ESC tools. Going back to fix up mistakes or clean up sediment from the receiving environment will divert efforts from getting projects completed. Poor use of ESC tools also carries reputational and compliance risks. Maintaining an excellent compliance record will help in tendering for new contracts. On the flip side, Environment Canterbury is regularly asked by agencies whether contractors have a record of being fined or formally warned in their compliance history. As a consent holder, having a poor compliance history can make getting a new resource consent more difficult, or you may be subject to more stringent conditions. Poor ESC can result in significant fines from infringement or prosecution and associated legal costs. Put money and resources to better use by managing ESC proactively.